If you watch television during the day, or subscribe to magazines like AARP, you have probably seen advertisements for reverse mortgages. If you are over age 62, and own your own home, you may have even considered applying for one of these mortgages. Whether you are considering a reverse mortgage, or just curious, here is some information on what reverse mortgages are, how they work, and the possible risks. When you take out a conventional loan, you borrow money against all or part of the equity in your home. The bank gives you a lump sum up front, or a home equity line of credit, and you pay back the loan in monthly increments. With a reverse mortgage, you are also borrowing against all or part of the equity in your home. However, instead of giving you a lump sum up front, the bank disburses the loan in monthly increments, or in a home equity line of credit. Unlike the conventional mortgage, you do not have to make any payments to the bank for the duration of the loan. 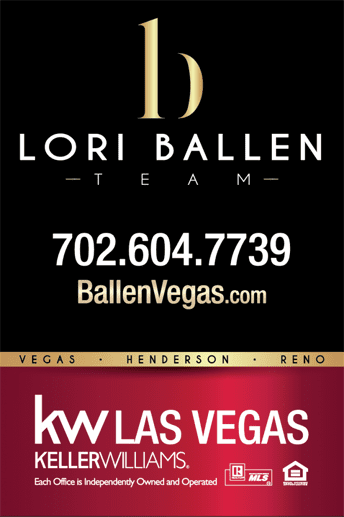 Here’s an article on how to buy a house in Las Vegas. Being able to borrow money against the value of your home, and never having to pay it back, probably sounds too good to be true and you’re probably thinking that there’s a catch. Well, there is not so much a catch, per se, but rather unique terms that make the reverse mortgage possible. Essentially, a reverse mortgage is like selling your house to the bank, while retaining the right to live in it. · Paying for any repairs and maintenance. If you stop doing any of the above, if you move into a nursing home, or if you die, the bank can take ownership and sell the home to pay off the reverse mortgage. If your family wants to retain the home after you have gone, they will need to repay the loan in full. There are three major avenues for getting a reverse mortgage: through a state or local government-funded non-profit, through the Department of Housing and Urban Development (HUD), or through a private lender. Local or state government-funded non-profits offer the single-purpose reverse mortgage. This type of loan can only be used for one purpose, such as home improvements or medical expense, and the lender usually specifies the purpose of the loan. Single-purpose reverse mortgages have the lowest costs, and even low-income homeowners can qualify. However, these loans may not be available in all areas. You can find out more about these loans, and if one is available in your area, by visiting the Eldercare Locator, or by calling 1-800-677-1116. HUD offers the Home Equity Conversion Mortgage (HECM). This type of loan has no restrictions on use. HECM loans have higher fees, but they are also more widely available. Also, if the borrower has to move out of the home, he could have twelve months to pay back the loan in full, and avoid having the bank take ownership. Private lenders offer the proprietary reverse mortgage. This type of loan may or may not have usage restrictions, depending on how the individual lender has the product. You must have your property appraised. Reverse mortgages accrue interest just like standard mortgages. This means the amount you owe will grow over time, even if your pay-outs remain the same. Most reverse mortgages have what is called a “nonrecourse” clause, which means the total amount of the loan should not exceed the value of your home. However, it is possible that, with interest and fees, over time the mortgage could use up all or some of the equity in your home. Reverse mortgages have loan just like regular mortgages. These costs and fees vary by lender, even with government loans, so you need to shop around to ensure that you get the best deal. If you change your mind, you have the right to cancel the mortgage within three business days of closing. You must notify the lender in writing, via certified mail. Once the lender has received your cancellation request, it has 20 days to return any of the fees and costs that you have paid up front. If you own your home outright, are not planning to pass it on to heirs, are able to continue paying for the taxes, insurance and upkeep, and you are planning to continue living in your home for a long time, a reverse mortgage could be an excellent way to take advantage of the equity in your home. What is a Reverse Mortgage When you take out a conventional loan, you borrow money against all or part of the equity in your home. The bank gives you a lump sum up front, or a home equity line of credit, and you pay back the loan in monthly increments. With a reverse mortgage, you are also borrowing against all or part of the equity in your home. However, instead of giving you a lump sum up front, the bank disburses the loan in monthly increments, or in a home equity line of credit. Unlike the conventional mortgage, you do not have to make any payments to the bank for the duration of the loan.